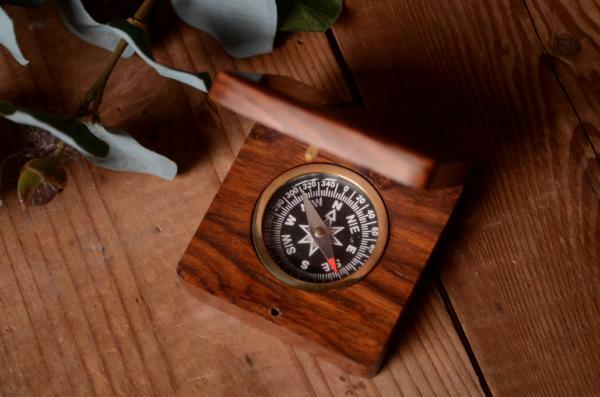 Lovely vintage compass. This spyglass is presented in a lovely little wooden box, decorated with some details in brass. Ideal for decorating your photo shoots. Approximate measures: 6 cm x 6 cm x 2.5 cm.